In this tutorial, the transport properties of SNW  are simulated based on the multi-scale method  in tutorial 14. The ab-initio calculation package Quantum Espresso and transformation package Wannier90 are adopted to get the TB Hamiltonian. 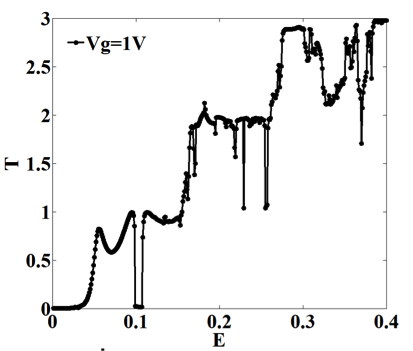 Compared with the GNR, the spread of the orbitals in silicon is wider, so, more interactions between different orbitals are retained: the computation complexity is increased as well. The RAM adopted in this tutorial is at least 16G. And we recommend the readers to use a CPU which is more powerful than Intel Core I7 processor. We assume that the readers have already installed the needed packages and the simulation scheme is shown as below. The needed files can be downloaded here (All the files come from tutorial 14 except for ‘NanoTCAD_ViDES.py’, and they have been revised to carry out this simulation. More details about the revision can be found in ‘README’). Set the correct environment variables. ./run_QE run the “relax” and “nscf” calculation to get the band structure of the SNW with force relaxing. ./run_Wannier get the TB Hamiltonian transformed by Wannier function. The DOS property can also be got in this step. Now let’s begin the simulation. The structure of the device is depicted above. The length of the SNW is 20nm and it is covered by the SiO2 layer with the thickness of 1nm. 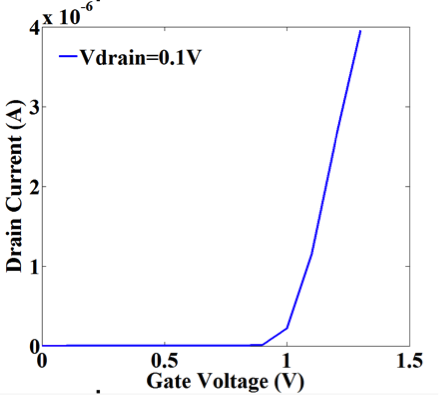 The source and drain regions are all 5nm and the gate is wrapped around the channel region. The doping concentration is 1 × 10-2 Coulomb per silicon atom. The parameters in the region command in sequence are the region type (‘cyl’ means cylinder), the x and y coordinates of the axes. The cylinder can be hollow and the fourth and fifth parameters are the inner diameter and outer diameter. And the last two parameters define the length of the cylinder. The transfer property is calculated from 0 to 1.3V in this script. The resulting current curve and transmission coefficients are displayed below. 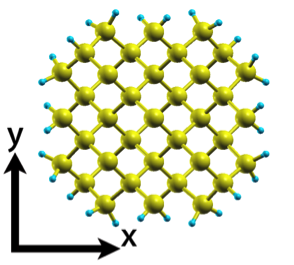 S. Bruzzone, G. Iannaccone, N. Marzari, and G. Fiori, “An Open-Source Multiscale Framework for the Simulation of Nanoscale Devices,” Electron Devices, IEEE Transactions on, vol. 61, no. 1, pp. 48-53, 2014. G Fiori, G Iannaccone ‘Multiscale Modeling for Graphene-Based Nanoscale Transistors’ Proceedings Of The IEEE, Vol. 101, p. 1653-1669, 2013.